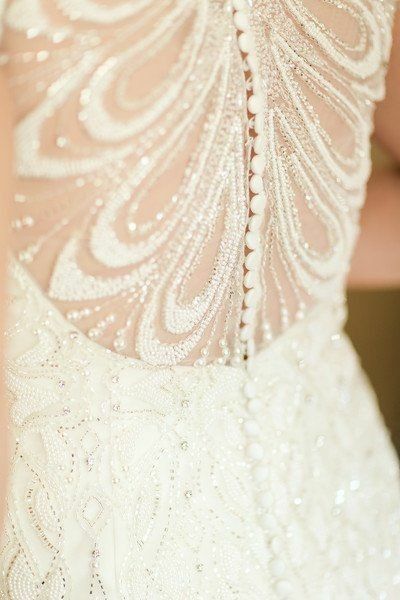 Does your wedding dress have lace, beading, or both? What kind of accents does your dress have? 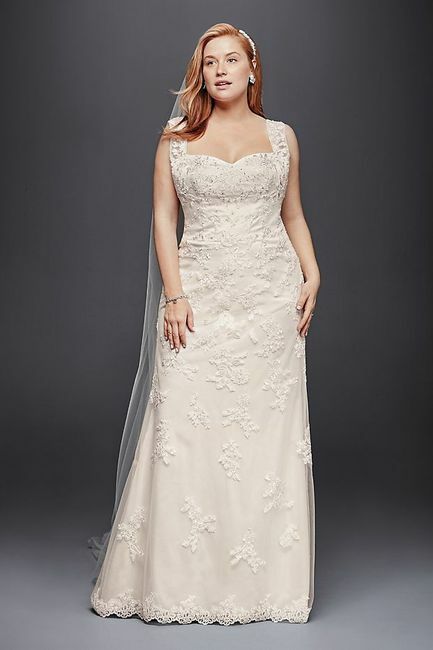 Did you go with a gown featuring lace applique? 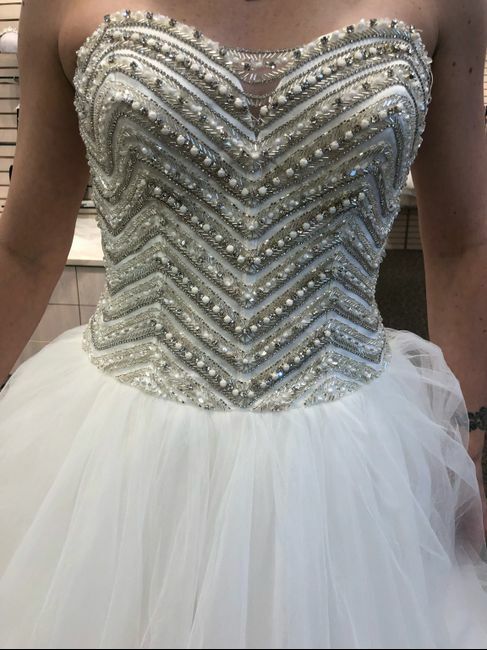 Does it have a little bling and beading? Or have you chosen a gown that has the best of both worlds? 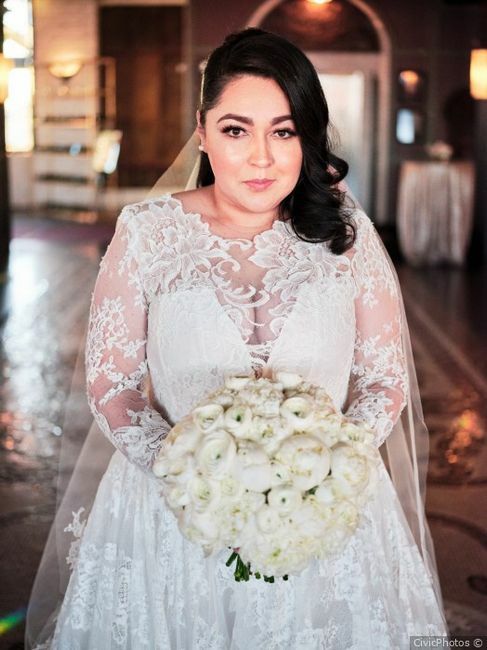 Can’t stop talking about your wedding dress? 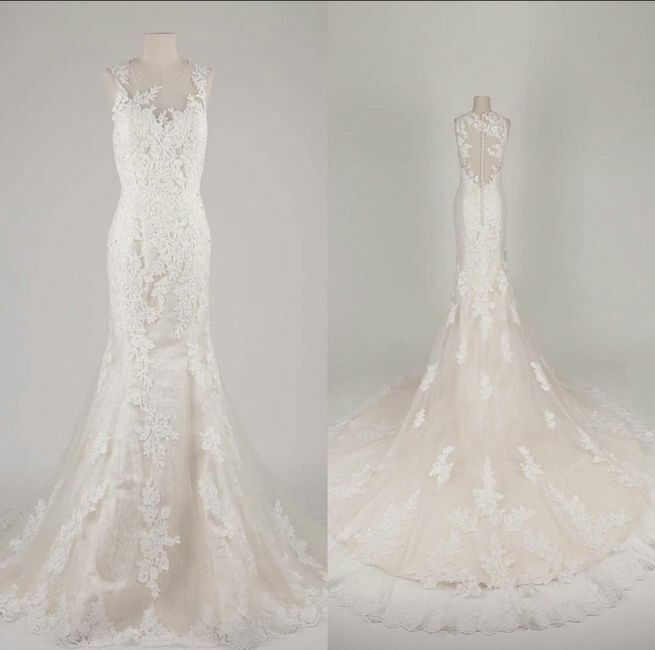 Share more details in these posts: Wedding Dress Designers! 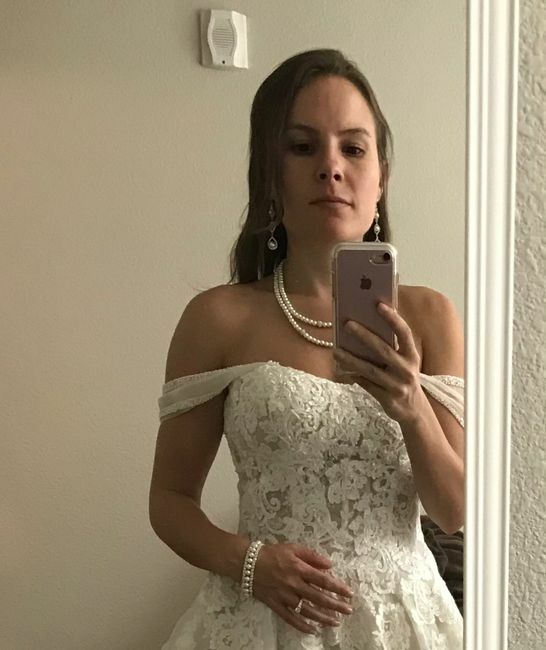 Who are you wearing?, Does your wedding dress have a train?, All about the bustle! 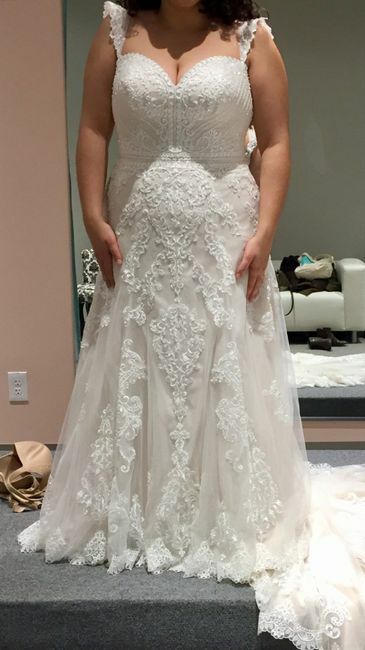 My dream dress is below. Waiting for the money to go and try it on/hopefully buy it! 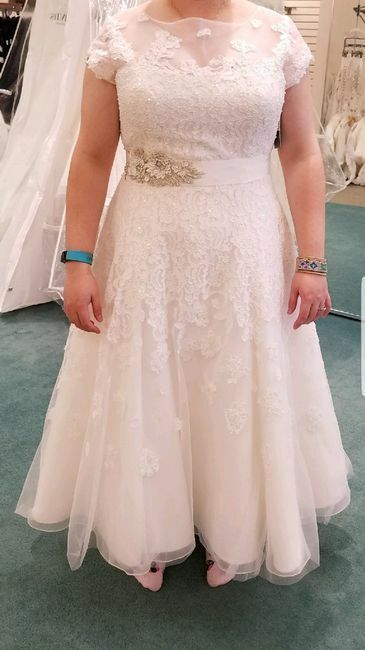 Not a lot of lace for me, just a bit...more sparkle! Mine is lacy but just enough to give interest. I didnt want a lot of lace or beads. No, not at all. No beading nor lace for me. 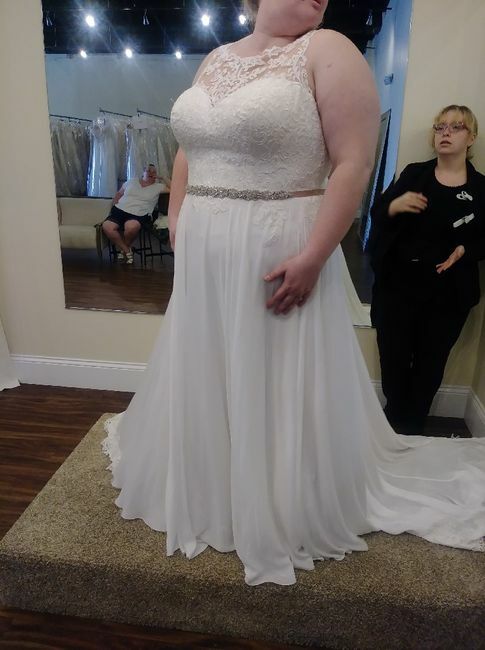 I wanted my dress to be simple. 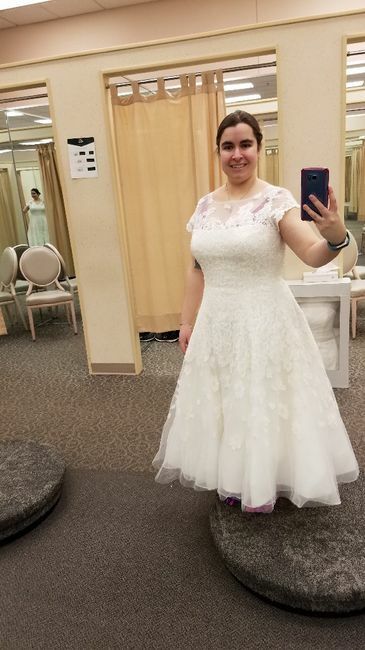 Mine has intricate beading on the bodice and in an area by my feet. No lace at all even if that's what I had thought I would end up with. My dream gown is a mix of both. I'm not a fan of lace top to bottom and dont want to look like a sparkly disco ball. I will be choosing one that's a nice mixture. 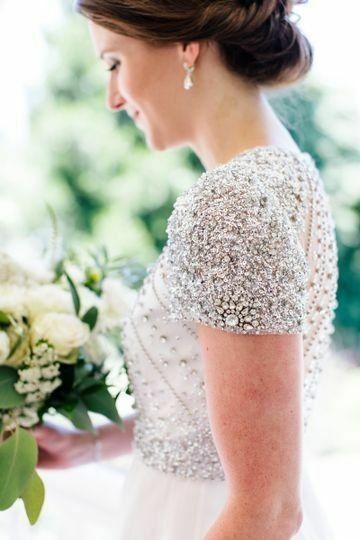 Mine has lots of beautiful beading and sparkle on the top of the dress. It's not what I originally had in mind but I am so in love with it. 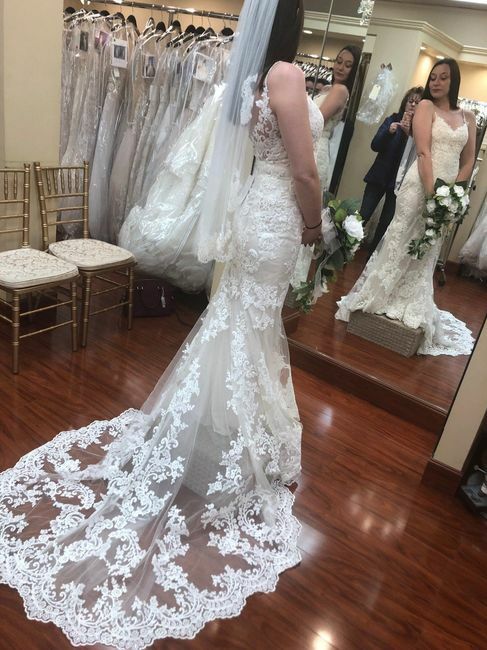 My gown has lots of lace! No beading! But it has rhinestones on the straps and the buttons on the back are like clear. 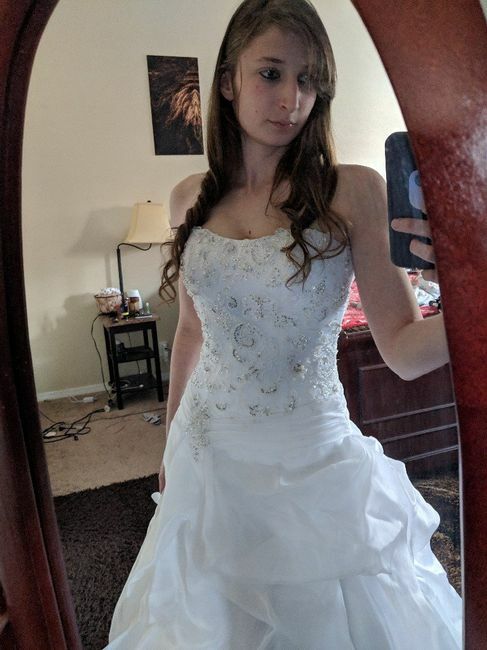 My dress has the perfect mix of both. The beading and lace isn't over powdering it's just the right mix. 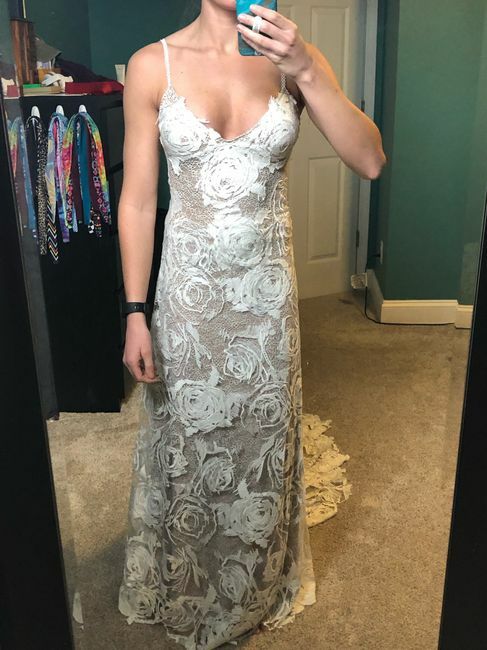 The pictures don't do the dress justice. Mine is bling and beading!! 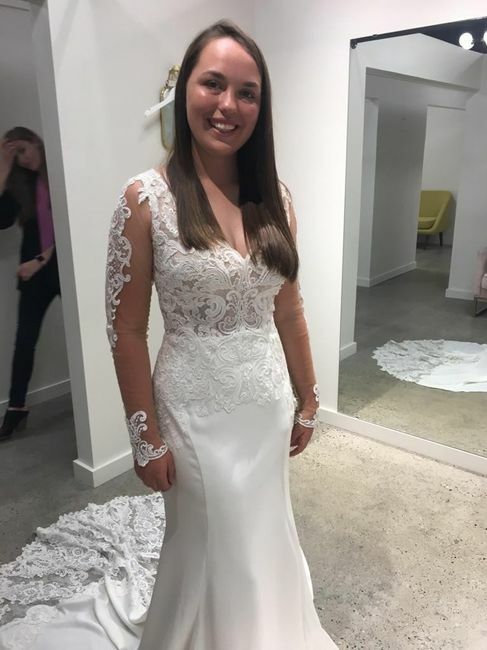 Mine has lace! There's a little bit of sequin beading scattered throughout, enough to catch the eye but not enough to distract from everything else! I love your dress!! 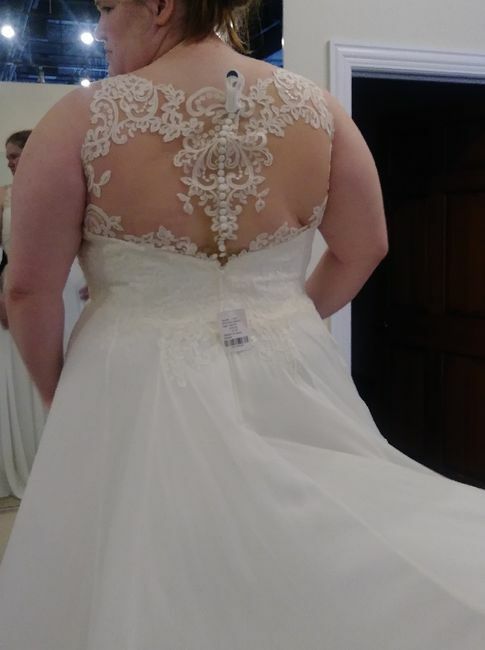 The back is gorgeous!! Oh my goodness!!! You look so beautiful! 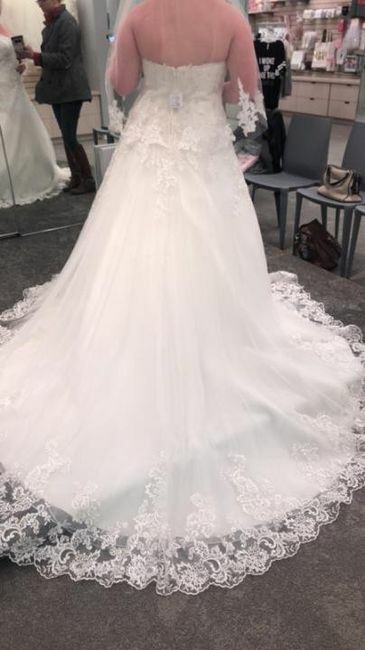 I love the sleeves and the lace detailing on the train!